There’s no doubt pregnancy can be a stressful time. There are a lot of positive emotions that come along with expecting a new baby – anticipation, joy, fulfillment. There’s no shame in feeling a mix of emotions, negative and positive. 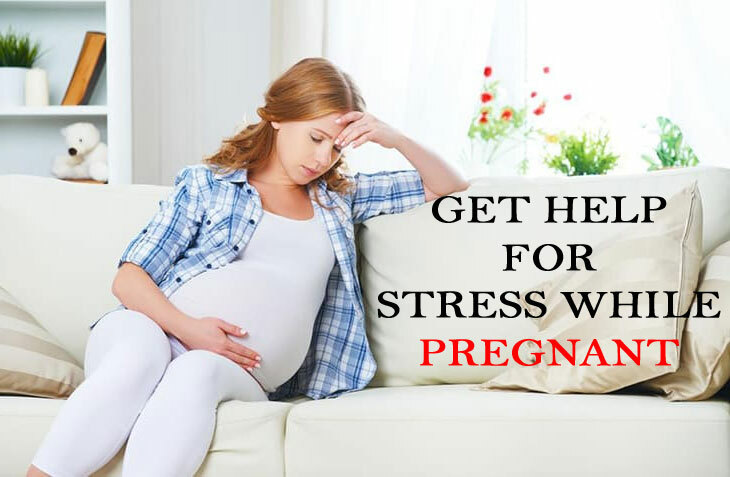 Stress, anxiety, and depression are common during the prenatal and postpartum periods, and there are some steps to take to better cope with these more difficult moments and longer stretches. You’re going to bring a new life into the world. If you find your anxiety and low mood are disrupting your day-to-day, it’s important to seek help. Here are a few tips to help manage your mental health during pregnancy with some self-care. Make sure that you’re taking good care of both your body and your mind with proper nutrition and physical activity. Consult with your doctor on the proper exercises and foods that are best for your situation. Every woman is different. A diet packed with vitamins, minerals, healthy fats, protein, carbs, fiber, and lots of water is best. Fresh and frozen, plant-based, whole foods are a go-to for terrific general health for everyone. Make sure to avoid these foods while expecting. Water aerobics, walking, stretching, prenatal yoga, Tai Chi, low impact aerobics, and indoor cycling are ideal physical activities. Healthy habits can help reduce stress dramatically, as well as improve your ability to deal with it. Talk about your anxiety, depression, fears, and all other feelings with others – your partner, family, friends, a support group, and your medical practitioner. If you have a partner, they might be feeling the same way. Open communication can ease worry and pressure and talking through things can help you figure them out. Connecting with other moms and parents-to-be is important. There are online groups and message boards to join if you don’t have a support group nearby. A mom and baby show is also a unique place to meet other parents in an environment that is pro-mom, pro-baby, filled with old and new parents, and vendors and experts to offer advice. Properly preparing for the arrival of the baby crosses things off the list weighing you down. Moderate to extreme anxiety, depression, and other persistent, unwanted thoughts should be dealt with by a professional. Your medical doctor can help refer you to a specialist or therapist who can help with talk therapy and other support services. You are not alone. A therapist or counselor can help with strategies and habits that can stop the downward spiral. One important strategy is learning to say ‘no’ to things – if you’re taking on too much at work or at home, now is the time to take for yourself and turn these extra burdens down. The image of a Super Mom is fiction. You’re extraordinary for taking good care of yourself and seeking help while pregnant. Other activities like meditation, yoga, an all-natural bubble bath, massage, and other spa treatments can go a long way to relieve tension. If you’re low on extra money, many of these things can be done at home for cheaply or for free. Don’t forget to rest. You should be avoiding alcohol and caffeine, which are extremely unhealthy for the baby, and they also disrupt quality sleep. Naps should be kept to 30 minutes and taken earlier in the day. Never be afraid to ask for help and reach out to others. Asking for assistance and wanting to do things in a healthy way is incredibly strong.